So, you’ve decided to run a 5K race. Congratulations! You’re about to become one of millions who participate and finish the popular 3.1-mile foot race every year. In fact, the 5K is the number one race distance in the country with a reported 8.3 million 5K race finishers in 2014 alone. In case you’re curious, the half-marathon (that’s 13.1 miles) claims second place in terms of popularity. Part of the reason this distance is so popular is due to the abundance of races available nationwide. In 2014 there were approximately 15,100 5K running events in the U.S. There are so many, in fact, that organizers have had to become more and more creative when promoting their events. For example, some races involve challenging obstacles like crawling through mud and jumping over fire pits. Others encourage dressing in costume, from zombie makeup to full gorilla suits. Still others are themed around a holiday like St. Patrick’s Day or July 4th. 5K races are also popular as fundraising events. Charity organizations, nonprofits, corporations, and even small businesses and neighborhood organizations are known to organize 5K races. The manageable distance is easier to plan and support than something like a 26.2-mile marathon, and the accessibility for a range of athletic abilities gives it greater appeal. Part of that appeal is the chance to earn a race-day running shirt — or wear a custom running shirt of your own. Sure, a t-shirt may seem like the last thing on your mind now that you’ve committed to running a substantial distance. However, what you wear while running can make a big impact on how you perform — as well as how motivated you are to make it to the finish. Here are some ideas for how you can prepare for running a 5K, as well as the best running shirts to wear on the race day. Now that you’ve committed to the 5K, it’s time to start training. First, consider whether you’re new to running or just a little rusty. Newbies should start where they are — not by going out and trying to run three miles on day one. Instead, the best way to train for a 5K is to start incorporating short spurts of running while mostly walking. Gradually increasing how much you run can get your body more accustomed to running without stopping — without risking injury or burnout. Start each workout by walking for five or ten minutes to warm up. Likewise, finish your workout with a walking cool down to slow your heart rate. Begin by running in 30-second intervals, then walk for at least double the time. For example, run for 30 seconds then walk for 1 or 2 minutes to catch your breath. Repeat this pattern several times, aiming for a 10 or 20-minute workout, gradually increasing time as you go. Begin increasing your running intervals so that, little by little, you are walking less and less. Do two or three run/walk workouts per week, alternating running with cross-training like cycling, swimming, or yoga. Work up to three miles (or about 30 minutes) of steady running before race day. New runners should allow themselves at least eight weeks to train. This gives the body ample time to strengthen and recover. When you begin to train for a race, consider testing different clothing materials to see how they feel and perform while you run. If you’re running with a group of friends or running group, think about whether you all want to wear the same thing, from costumes to matching custom shirts to a race-sponsored t-shirt. Most people sweat while running. It’s just a fact of life. However, running in a heavy, drenched cotton shirt is not the only option. 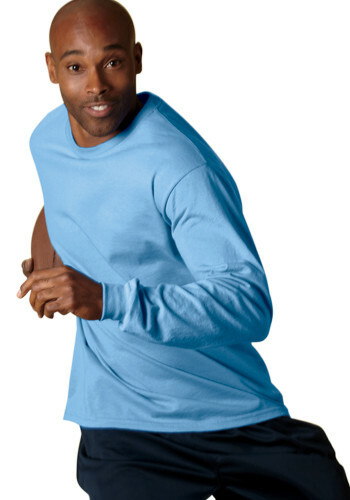 Many runners appreciate running shirts made with a 50/50 combination of cotton and dry-blend polyester. Often called performance shirts, these breathable running shirts can help wick away moisture from your body to keep you cool and dry while exercising. S ome running shirts offer additional odor control to keep them fresh throughout many uses, and still others offer UPF sun protection so you won’t get sunburned through the shirt fabric. Choose traditional short sleeved t-shirts, long sleeve performance shirts, or sleeveless running tops depending on what makes you most comfortable. Whether you go with performance or standard cotton t-shirts, custom t-shirts are a fun way to identify a bigger group like a running club or high school track team. Matching customized shirts can help establish a cohesive look, making it easier to find one another in the crowd of the starting line and mob of finishers. 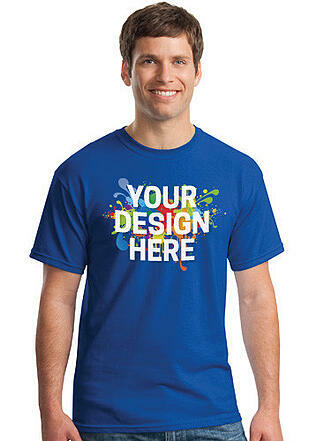 Customize your shirts to your liking with a creative team name, a sponsor’s logo, or a special tribute to a loved one. Anyone who’s organized a race knows that there’s so much that goes into planning a successful event. With a sponsored or timed event, participants usually need to fill out paperwork to register, sign a waiver, and pay a fee. This fee often includes some sort of swag in addition to the run itself, such as a finisher’s medal, a free lunch, or a race shirt. Race shirts can be a great incentive for new registrants. Cotton t-shirts are a good value for first-year events still finding their feet, but runners may perceive performance athletic shirts as more desirable. 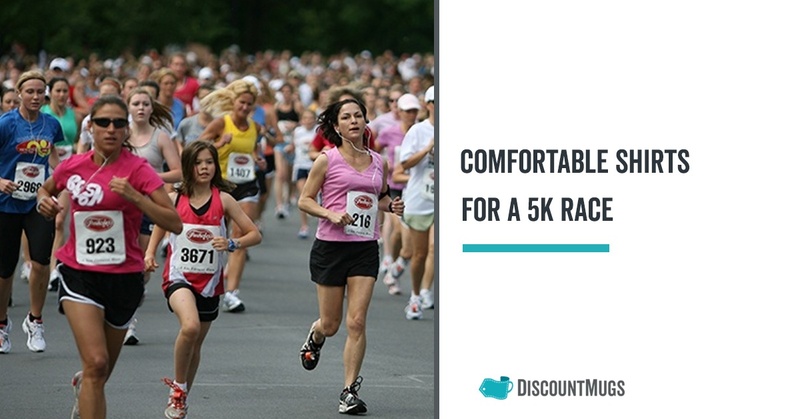 Participating in a 5K can be a fun competitive activity for new runners and a good benchmark distance for seasoned racers. 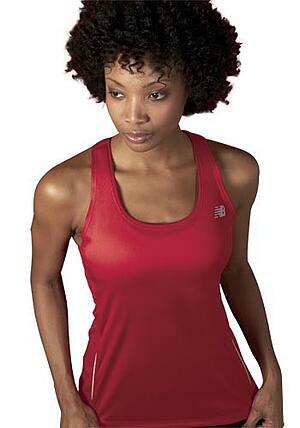 Be sure to give yourself plenty of time to train, and choose a running shirt that will help you perform your best.